Career: Truman & Snively Insurance Agency, Partner, 1961-1975; Mohawk College of Applied Arts and Technology , Hamilton, Ont. – Professor Insurance Administration Program 1976-1987; Insurance Bureau of Canada, Toronto, Ont., Manager, Insurance Services, 1987-1990; Ontario Insurance Commission, Toronto, Ont., Director Market Conduct 1990-1997; Ontario Insurance Ombudsman 1997-1999. 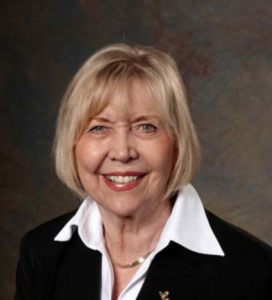 Since her retirement in 1999, Ms. Algar serves as Chair, General Insurance OmbudService; Director, OmbudService for Life & Health Insurance; and Director, Property and Casualty Insurance Compensation Corporation.